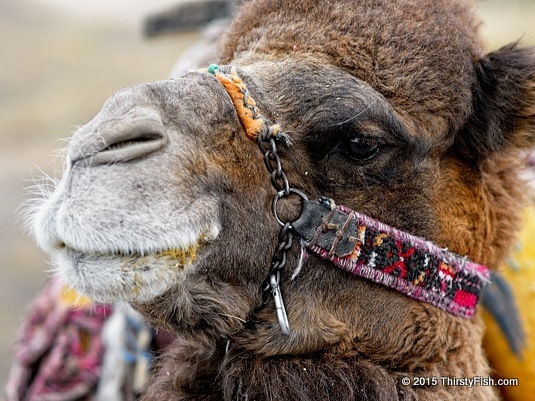 The dromedary, also known as the Arabian camel or the one-humped camel is one of the two surviving species of camel. It is believed that that Dromedaries were domesticated in Somalia and southern Arabia, around 3,000 BC. These days, they have become entertainment. The other day, I read an article written by an ex-professor who taught Master of Fine Arts Writing Classes: "...writing that's motivated by the desire to give the reader a pleasurable experience really is best. I told a few students ... that their only job was to keep me entertained ... if you can put your ego on the back burner and focus on giving someone a wonderful reading experience, that's the cleverest writing". Compare that with what Albert Camus thought: "The purpose of a writer is to keep civilization from destroying itself". So, which is it? Entertainment is defined as "any activity that holds the attention and interest of an audience, or gives pleasure and delight". At first glance, entertainment seems natural enough, "pleasure and delight" are necessary for all living creatures. But then, amusing ourselves to death doesn't seem right. That is exactly what's happening. We are working harder than ever, so that we have the means to better entertain ourselves. Entertainment has become an illusory source of meaning. Consider this: The average American over the age of two spends more than 40 hours a week watching television! Pleasure and delight? Entertainment is fast becoming a primary purpose in life. It is disconnecting us from reality, from things that actually matter to us. We are living in fantasy worlds, meticulously manufactured for us by entertainers. Writers, poets, teachers, journalists and even scientists are abandoning their crafts to become "entertainers". These "entertainers" do not enlighten, instruct or inform, instead they distract, obscure and swindle, all under the guise of "pleasure and delight". And, the more we seek entertainment, the more we become addicted to entertainment. Behind every addiction, there are pushers benefiting from it while addicts suffer. Entertainment is no exception.